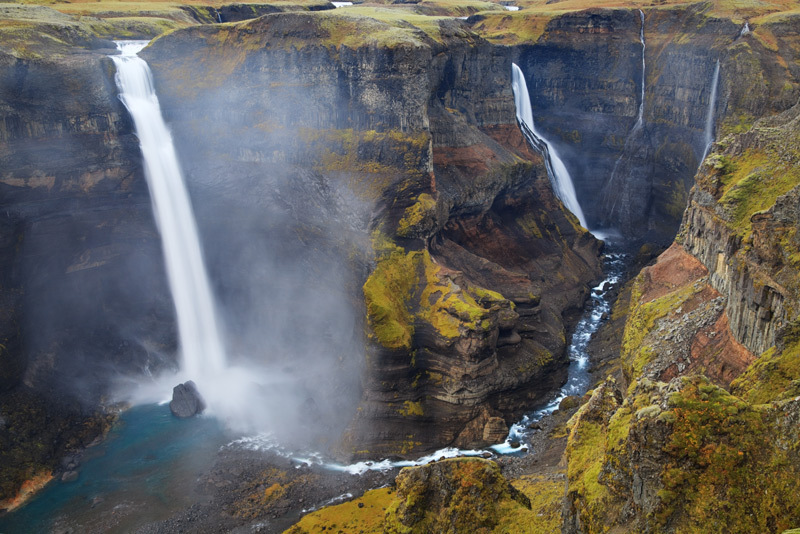 Haifoss is Iceland's second highest waterfall. Photo © copyright by Paul Marcellini. A new process cures the ink on the aluminum panel for a uniquely vibrant, luminant, and durable piece of art with minimal glare. Great for bathrooms with high humidity and offices with less than ideal lighting. 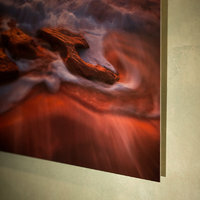 Like the gallery wrap canvas, this is a finished, ready to hang product that requires no glass or frame. The print appears to be floating on the wall with a hidden mount system for a very modern look.